This beautiful Laureltree home has been well maintained and landscaped. The covered and screened entryway leads you through the double doors to a spacious open floor-plan living room/dining room combo. The eat-in kitchen has stainless steel appliances and spacious counter-top area. The living room/dining room combo leads to an airy and open office/Florida room/den. The very large master bedroom has beautiful laminate flooring and nice walk-in closet. The master bathroom has a lovely tiled walk-in shower. The split bedrooms are a great feature for company with their own bathroom nearby. This terrific home has a huge laundry room with tons of storage space. There is even a storage shed in the backyard. The garage boasts two sets of very bright lights making it a workman's dream. Sun City Center is one of Floridas most popular active living senior communities with a terrific range of recreational and social amenities and fabulous year-round, outdoor life style. Sun City Center is very close to world class beaches, sporting events, theme parks, and great shopping. The amenities here include 3 heated pools, a state-of-the-art fitness center, arts & crafts building, two multi-million dollar club houses, a library, golf, and more than 200 social and sports clubs. 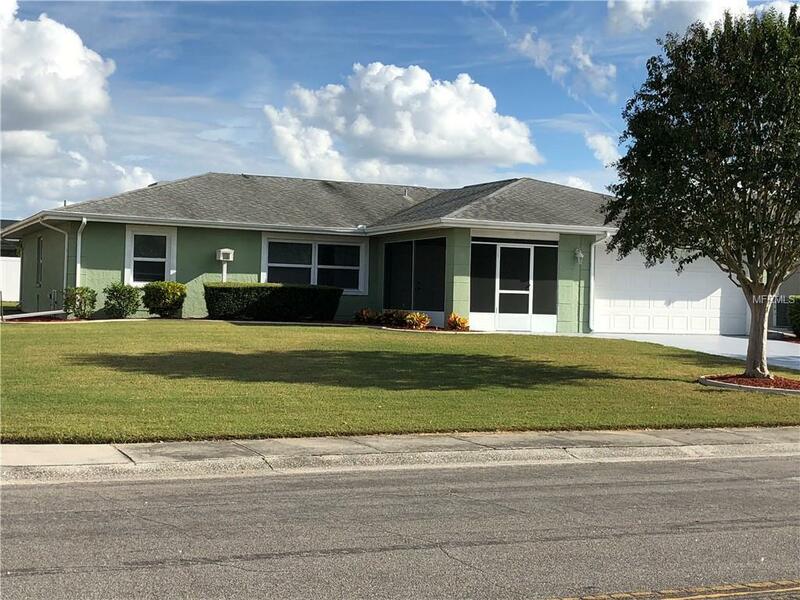 This terrific Florida community is located between Tampa and Sarasota. Come visit and you will want to stay! Additional Lease Restrictions One Person Must Be 55 Or Older.